Ardamax Keylogger ransomware uses sophisticated techniques to infiltrate computers and hide from its victims. Use Reimage to determine whether your system is infected and prevent the loss of your files. Ardamax Keylogger virus is a spyware-based program that collects keyboard strokes. 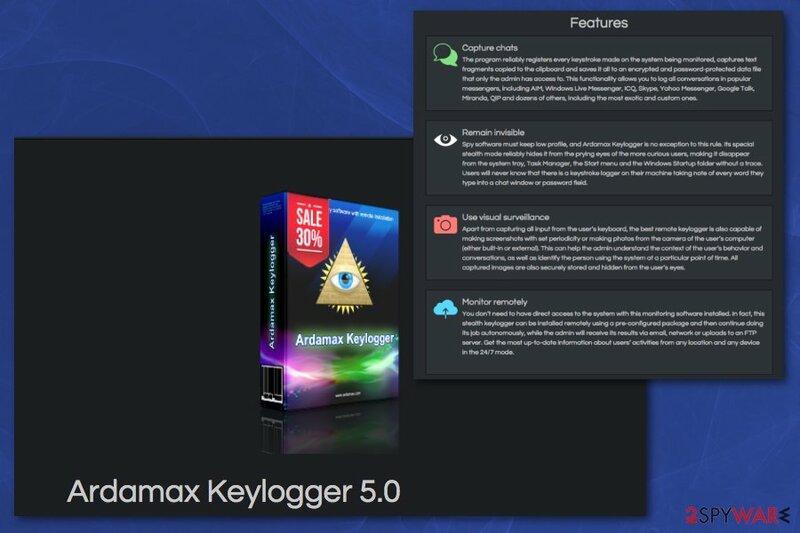 Ardamax Keylogger virus is a program that causes malevolent activity because it is designed to record users' keystrokes using legitimate Ardamax software. Though it has been created for professional processes, cyber villains took a liking of the program. Even if you download the program from its official site, detecting the tool might be troublesome. Since it has a Hidden Mode, crooks make use of this functionality to disguise the activities of the program and record your keystrokes. The latest version costs more than 60€ and allows the admin to see every keystroke on the targeted system, capture chats, use visual surveillance, or even use the microphone to record audio. However, the program manages to hide and silently monitor the victim’s computer activity without being detected. Once installed, it adds an IJE.exe file to %APPDATA% folder, also akv.exe and QXI.exe files to %PROGRAMFILES% directory. In addition, you may notice two Winlogon.exe processes. 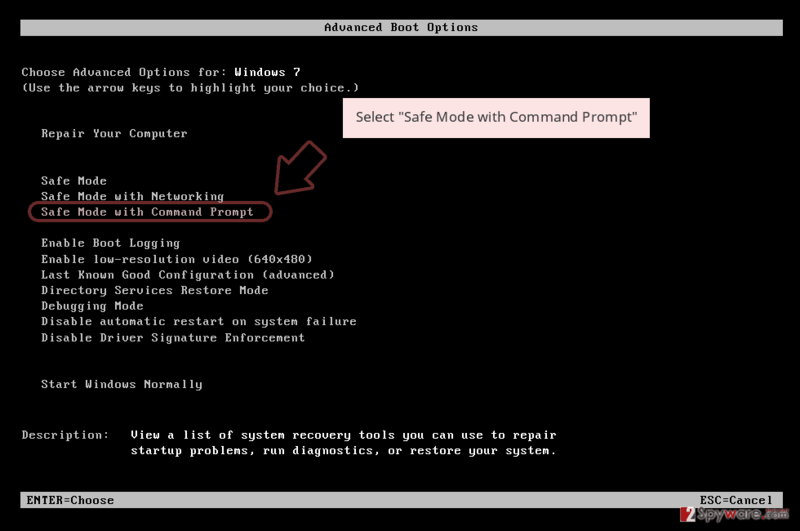 Though ending the task of the legitimate command may lead to severe system issues, it is not recommended to cancel the task as determining which command is genuine might be confusing. This is a spying and tracking program promoted as a useful tool that claims to offer affordable services. This tool is allegedly compact and powerful, a flexible keylogger that operates in the background. Instead, it runs on your computer and uses resources of the device while recording keystrokes and collecting them on a remote server. If you cannot detect the program, but suspect the unwanted presence or your email account passwords have been changed, you can use anti-virus or anti-rootkit tools to detect the software. For instance, Kaspersky anti-virus tool may help you identify you it, while certain anti-rootkit tools created by Malwarebytes company assists in getting rid of the malware. 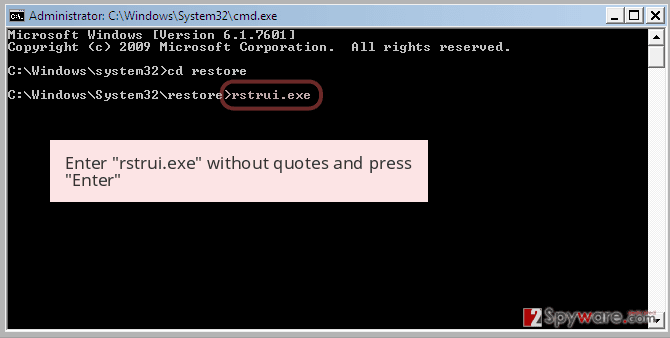 You may also find Reimage useful in performing Ardamax Keylogger malware removal. Luckily, Ardamax Keylogger can be found with the assistance of several tools and methods. 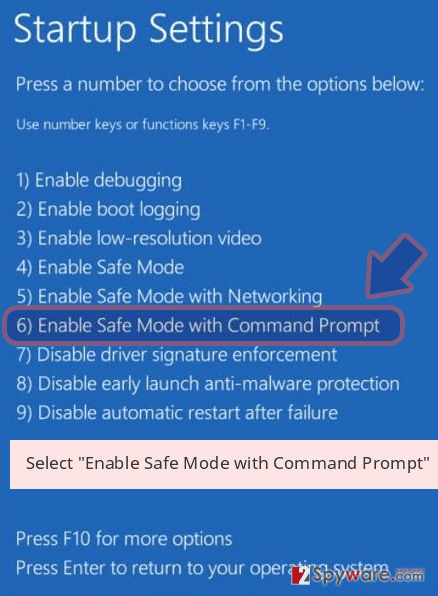 Once someone installs this program on your computer, most likely you will not be able to see it in Windows Task Manager or Programs menu because the program manages to disappear from these locations. This program violates your privacy and sends comprehensive logs to the person that monitors it. This tool might be used against you by your mistrustful second half, employer, or parents. What is worse, it is almost impossible to understand that a computer is being monitored by such programs because it shows no signs of existence. The only signs that can reveal someone’s bad intentions are their know-too-much talks or noticeable system slowdowns. 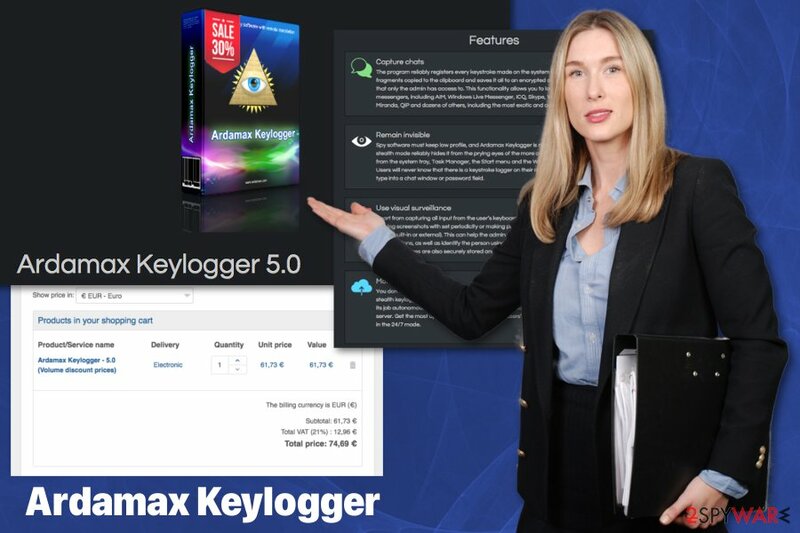 If you suspect that someone has installed this keylogger on your system, remove Ardamax Keylogger with an anti-malware tool like Reimage or Plumbytes Anti-MalwareMalwarebytes Malwarebytes. 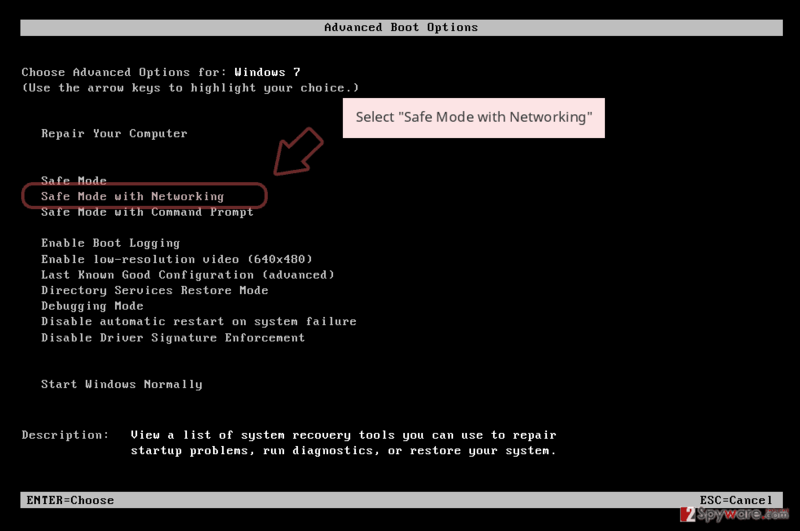 To remove it, start your PC in a Safe Mode with Networking first. 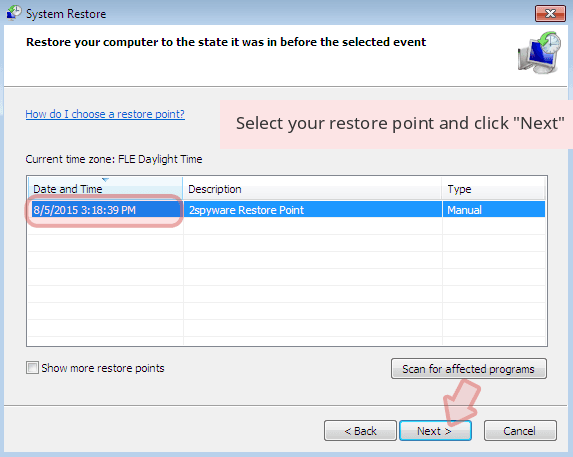 If you do not know how to reboot your PC in this mode, follow Ardamax removal instructions provided below. Ardamax Keylogger is a malware that can be more dangerous because data collected often get used to steal money or in other scams. Keyloggers are not viruses, and they do not self-replicate without users' consent, in most cases. This tool is a paid program that can be downloaded from its official website. To reach your computer system, it needs to be installed manually. So if you discovered this tracking software on your system, you should think about people who have access to your computer. One of them probably was trying to find answers to questions they didn’t want to ask you directly. You should definitely talk to such people, but first of all, delete this keylogger from the system to terminate its activity. However, you can use an anti-malware program and scan your device more frequently to avoid cyber infiltrations and even malware like this keylogger. Unfortunately, there is an opportunity that malware like this is distributed online via malicious documents as spam email attachments. Microsoft Office documents often get infected with malicious macros. The minute user downloads and opens this file on the device, malicious payload is installed on the system. Although the attacker can set the key combination that launches the keylogger, we suggest you try this combination: CTRL+SHIFT+ALT+H. 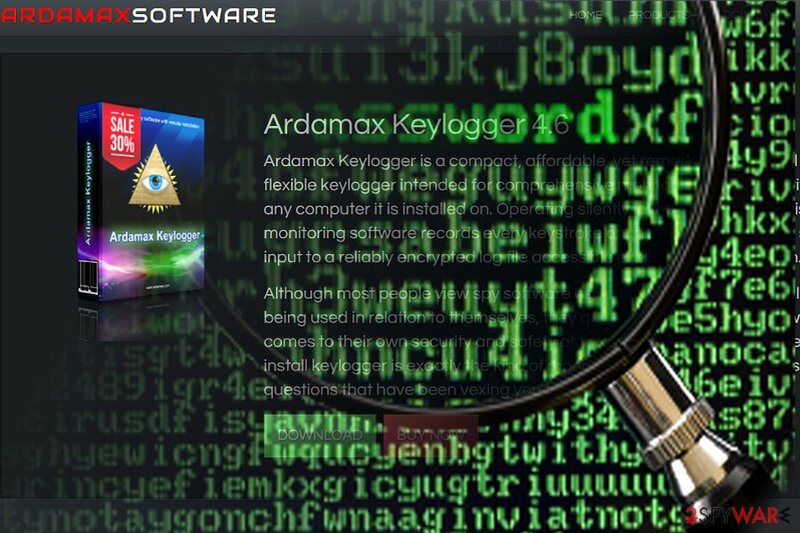 The official developer also promotes its specific tool to remove Ardamax keylogger. You might try it as well. This way, you might successfully open the program and find out where it sends the collected information. You should find an email address that receives log files filled with data about you and your activities online. However, if you cannot launch the program this way but you still believe that the system is infected with this keylogger, you should read Ardamax removal instructions provided below the article and prepare the machine for the elimination of this shady program. All users, not only US or PRC residents, should be wary of keyloggers. To remove Ardamax virus, we suggest using anti-malware tools because it is hard to find such program that is programmed to stay hidden and spy on the user as long as possible. Please read the following instructions carefully. 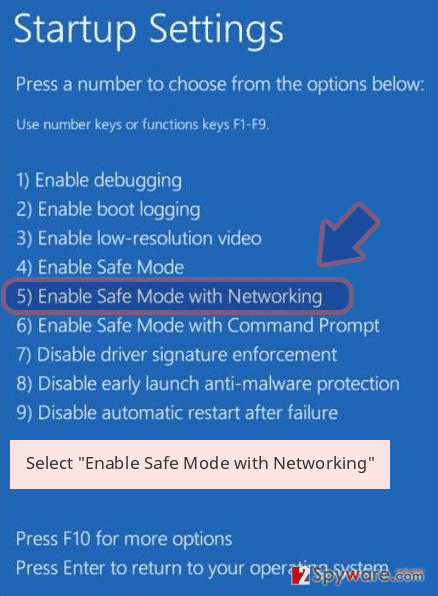 You will need to start your anti-malware software when the computer is running in a Safe Mode with Networking; if you do not have an anti-malware software, boot the computer as instructed below and then download one of the malware removers that we recommend. Log in to your infected account and start the browser. Download Reimage or other legitimate anti-spyware program. Update it before a full system scan and remove malicious files that belong to your ransomware and complete Ardamax Keylogger removal. When a new window shows up, click Next and select your restore point that is prior the infiltration of Ardamax Keylogger. After doing that, click Next. 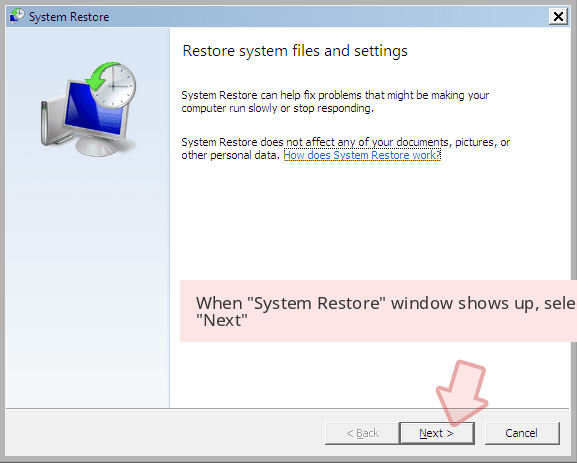 Once you restore your system to a previous date, download and scan your computer with Reimage and make sure that Ardamax Keylogger removal is performed successfully. ^ Violet Blue. Keyloggers: Beware this hidden threat. PCWorld. News, tips, and reviews from the experts on PCs, Windows, and more. ^ Tara Seals. Threatlist. Microsoft macros remain top vector for malware delivery. Threatpost. The first stop for security news. ^ Hidden Mode. |Ardamax Software. Official site. ^ Eliminate computer threats. Wubingdu. IT News and malware elimination tools . This entry was posted on 2018-12-04 at 08:38 and is filed under Keyloggers, Viruses. You can quickly scan the QR code with your mobile device and have Ardamax Keylogger manual removal instructions right in your pocket. How did you remove Ardamax Keylogger?